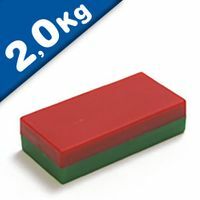 The Red/Green Go/No Go Yes/No Magnet is a plastic coated ferrite magnet that can be used as a planning magnet, warehouse magnet or notice board magnet. 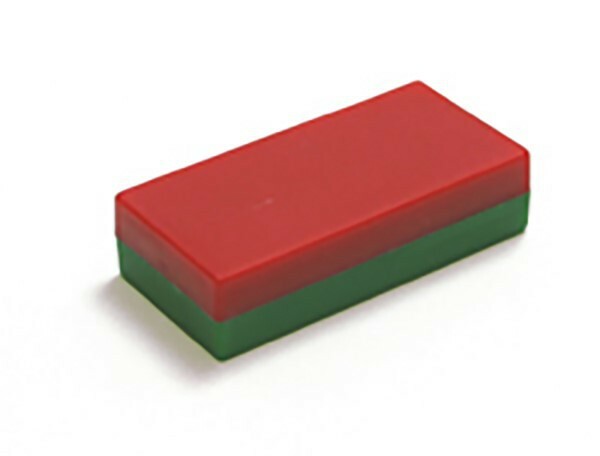 One side has a Green plastic coating; the other side has a Red plastic coating. 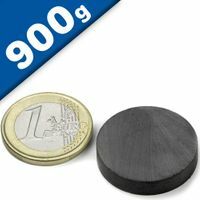 Simply turn the magnet over to swap the main colour seen. 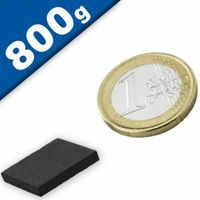 With an operating temperature of up to 250 ° C can also be labeled easily hot parts. 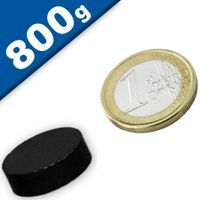 Just change the magnets on the main color! The Red/Green Go/No Go Yes/No Magnet can be used to show if a warehouse bay has been allocated for stock, or it can be used on a planning board or a notice board to show is a process is on hold or is in progression, or it can be used to indicate any of, for example, Yes or a No, Open or Closed, Start or Stop, Go or NoGo, Clear or Not Clear, Available or Unavailable, In or Out, etc, etc. The Red/Green Go/NoGo Yes/No Magnet is also powerful enough to hold paperwork to notice boards. The potential uses are limitless! 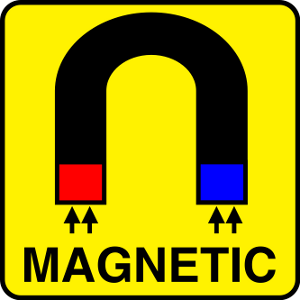 The Red/Green Go/No Go Yes/No Magnet can also be produced with different colour combinations (subject to a minimum order quantity – please contact us for a quotation). White/Black, Yellow/Red, Orange/Yellow, Blue/Yellow, Black/Blue and Purple/Green, etc. 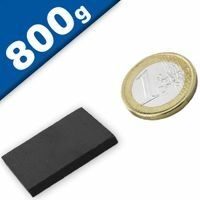 Ideal for industrial purposes, as operational up to 250 ° C. Whether. 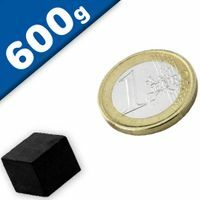 In manufacturing, QA, receiving or logistics, the magnets are an ideal tool to discarded or shared must be marked as simply as possible, without leaving residues With an operating temperature of up to 250 ° C can also be labeled easily hot parts. 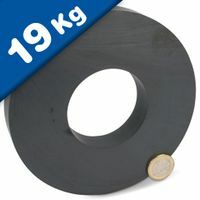 Length 52mm x Width 30mm x Thickness 10mm. 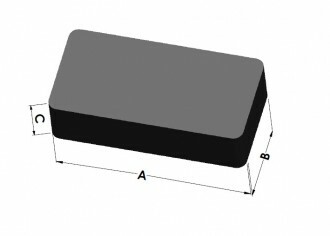 Plastic Encased Ferrite Block. 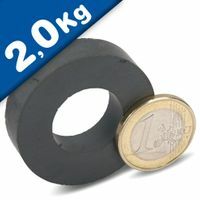 Pull Away Strength 2kg magnet to direct contact with 3mm thick flat surface of mild steel. 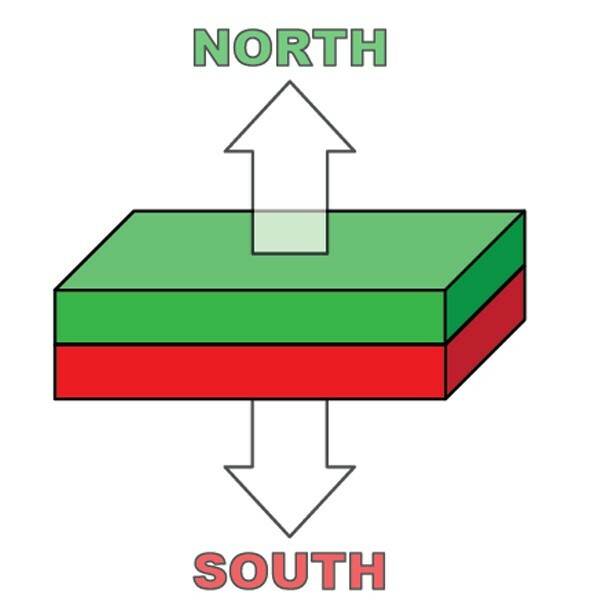 Polarity Identifiers: Red = South Pole Green = North Pole. Very strong! 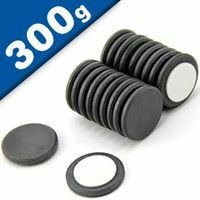 Use these magnets to determine north and south poles when working with other magnets or metals. Also ideal for educational purposes as their durable plastic case makes them safe to handle. Popular as a promotional tool - stick your company logo on and they make a nifty business card. 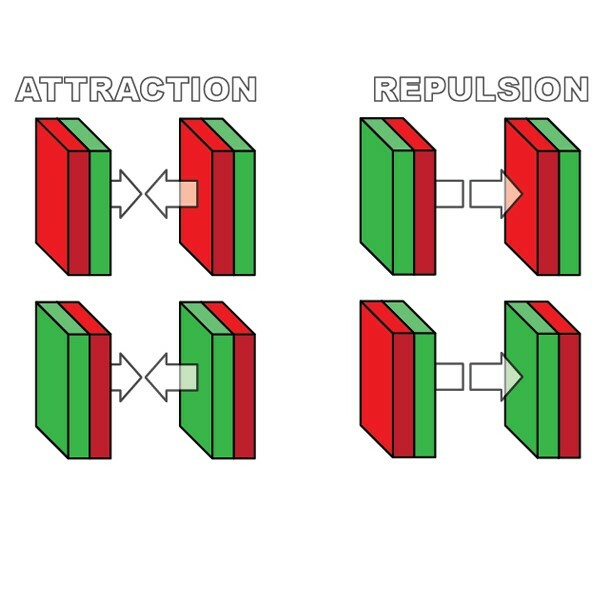 Polarity Identifiers: Red = South Pole, Green = North Pole.